Parallelization is the answer to the ever-growing demands of computing power by taking advantage of multi-core processor technology and modern many-core graphics compute units. Multi-core CPUs and many-core GPUs have the potential to substantially reduce the execution time of a program but it is often a challenging task to ensure that all available hardware is utilized. 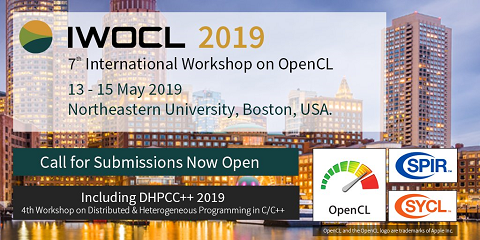 OpenMP and OpenCL are two parallel programming frameworks that have been developed to allow programmers to focus on high-level parallelism rather than dealing with low-level thread creation and management. This thesis applies these frameworks to the area of computed tomography by parallelizing the image reconstruction algorithm DIRA and the photon transport simulation toolkit CTmod. DIRA is a model-based iterative reconstruction algorithm in dual-energy computed tomography, which has the potential to improve the accuracy of dose planning in radiation therapy. CTmod is a toolkit for simulating primary and scatter projections in computed tomography to optimize scanner design and image reconstruction algorithms. The results presented in this thesis show that parallelization combined with computational optimization substantially decreased execution times of these codes. For DIRA the execution time was reduced from two minutes to just eight seconds when using four iterations and a 16-core CPU so a speedup of 15 was achieved. CTmod produced similar results with a speedup of 14 when using a 16-core CPU. The results also showed that for these particular problems GPU computing was not the best solution.